Portable vaporizers are great for everyday use. You have the ability to take them anywhere without worrying about size or power constraints. Today, with the wide availability of portable vapes there is a huge range to choose from. One type of ultra-popular portables that many people are using with increasing frequency are pen-style vaporizers. These vaporizers have the subtle feature of looking like a pen with the efficiency of a fully functional vaporizer. The G-Pen is one of the most popular pen-style vapes in the market. Being super portable capable of using waxes or oils, the user will have the opportunity of taking advantage of the capabilities to want to use it every day. This comes at a cost though. Pen-style vaporizers with it being pretty small and having a tight loading chamber need routine maintenance. When using the G-Pen extensively, the user will need to make sure to keep it cleaned ensuring the longevity and performance capabilities to keep your vaporizer functioning like new. The connection point of the battery is a crucial part for the G-Pen Vaporizer to function effectively. This expertly made pen style vaporizer won’t work efficiently if there is any excess oil residue or other particles it comes in contact with. One needs to make sure to keep it cleaned and a good way is to routinely check its condition and apply a q tip over the residue. Soak the Q-tip in rubbing alcohol and carefully wipe off the excess. When doing this make sure not soak the surrounding elements with rubbing alcohol or water as this can damage the G-Pen. Never try to apply rubbing alcohol or the q-tip to the heating component as this will jeopardize the functioning of the unit. 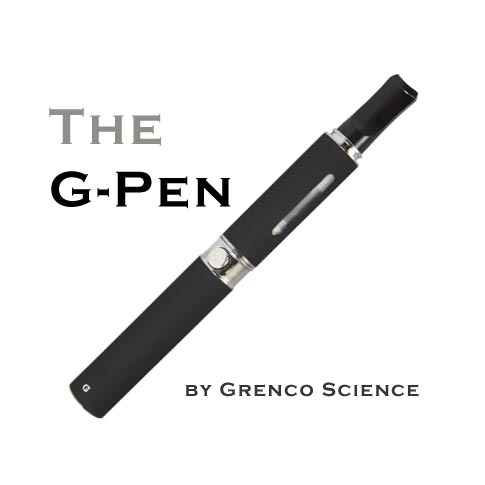 It is recommended to not use herbs in the G-pen as it will clog up the tanks. Using waxes and oils make it easy to clean the tanks with just quick maintenance, only needing some rubbing alcohol and a q-tip. The G-Pen Vaporizer is available for purchase at VaporizerPenShop.com, our recommended vape pen retailer.